Girl Kuripot Girl Kuripot: Watch the ADB Free Screening of Girls Rising and Join the Youth Dialogue in Manila this October 11! 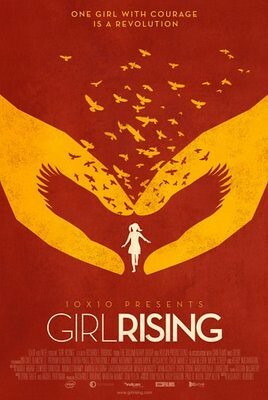 Watch the ADB Free Screening of Girls Rising and Join the Youth Dialogue in Manila this October 11! Have you guys heard of the story of Malala Yousafzai? Her story has sparked conversations about gender inequality and the right of a girl to education around the world. 3:30 p.m. to 6 p.m.
Click here to register for this screening. Check out the FB Event Page here. Watch ADB Free Screening of Girls Rising and Join the ADB Youth Dialogue in Manila this October 11! @ArcobalenoTrail, Win a 4N Batanes Tour! @PhilamLifeFA, Win a 3D2N Trip for 4 to Panglao! Win an Overnight Stay at the Ascott Makati! @UniballPH, Win a 4D3N Trip to Hong Kong! @History & Singha Beer, Win a Trip to Koh Samui! @KFCPhilippines, Win a Trip to the US! @ILoveGreenland, Win a Trip for 2 to Greenland! @BTAsiaPacific, Win a Stay in Shanghai, China! @BTAsiaPacific, Win a Stay in Kuala Lumpur! GK Giveaway: Savor Filipino Cuisine Experience! @KFCPhilippines, Win a 4D3N Trip for 2 to the US! @BridalBookPH, Win a Stay at Taal Vista Hotel!